[ Buy Now! $1 OFF with 10% OFF in Limited Days! ] Crafted from durable high density 600D polyester fabric,waterproof and hard wearing! 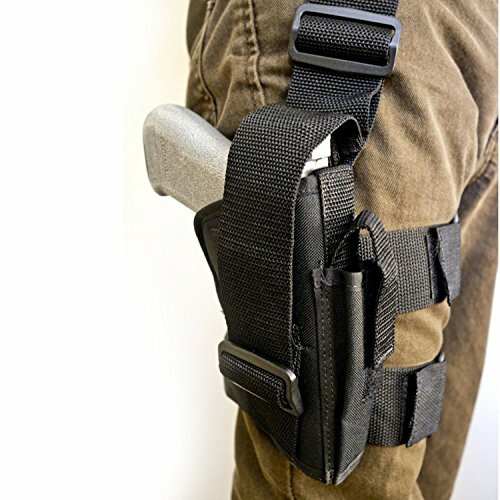 Quick release buckle and velcro strap make this holster fully adjustable. (Size:8.3*4.7*2.76 in) Fully adjustable and detachable leg strap and hanging strap. Best gift for Hunting loving friends and home defender. Ideal for military, law enforcement,campers,hikers,hunters etc.